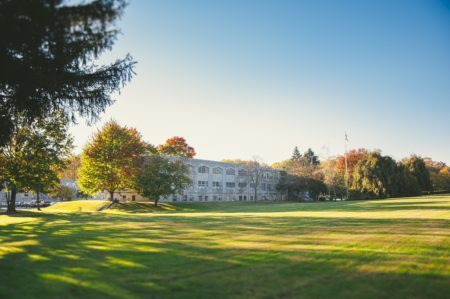 Manor College in Jenkintown, Pa is looking for a full-time Maintenance Associate. Correct minor plumbing and drainage problems reported within 24-hours. Complete scheduled, minor carpentry and glass repair/replacement problems on a timely basis. Electrical – Replacement of electrical outlets, ballasts, lighting fixtures. Ensure asphalt markings are distinct. Remove snow and/or ice from entrances and sidewalks and salt in a timely manner. Perform preventive maintenance; i.e., change spark plugs, grease, complete oil changes. In summary: Ensure that all equipment is in good working condition. Perform Major Maintenance Projects as Required and Scheduled by the Director of Finance and Facilities; i.e., painting, grounds work, plumbing, electrical, and mechanical. HVAC – Perform preventative maintenance, monitoring and repairs of heating and air conditioning systems. Promote and uphold the colleges Catholic Basilian Mission. Other duties as assigned. (In case of special circumstances, hours and responsibilities will be adjusted). Full benefit package after 90 day probationary period. Must pass clearances and background check.